Irish partners in EUfolio presented the EUfolio project a number of national and international conferences in 2014 and 2015. John Hurley and Ben Murray, EUfolio Ireland mentors, presented the EUfolio project to the Computers in Education and Schools (CESI) annual conference in Galway-Mayo Institute of Technology on February 28th 2014. The theme of the 2015 conference was Beyond the Horizon – Technology in Education. John and Ben presented the draft findings from the EUfolio Irish pilot implementation followed by a questions and answers session. 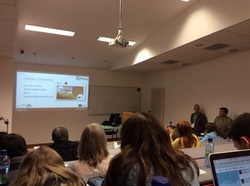 Anthony Kilcoyne, mentor in the Irish EUfolio school implementation, gave a presentation about the EUfolio project at the MITE (Mobile technology in Initial Teacher Education) conference held in Galway on 23rd and 24th January 2015. Initial teacher education can play a central role in the integration of technology within teaching and learning in the classroom. The conference celebrated the possibilities and explored the challenges of integrating mobile technology in ITE and in the broader field of education in order to promote best practice by teachers, students and schools. Sinéad Tuohy from the EUFolio project team presented two workshops to school leaders and school development planning co-ordinators at the annual conference of the School Development Planners of Ireland (SDPI) in Naas on 28th February. The workshop outlined the EUfolio project and focused on the Irish classroom implementation and the draft findings of the project. 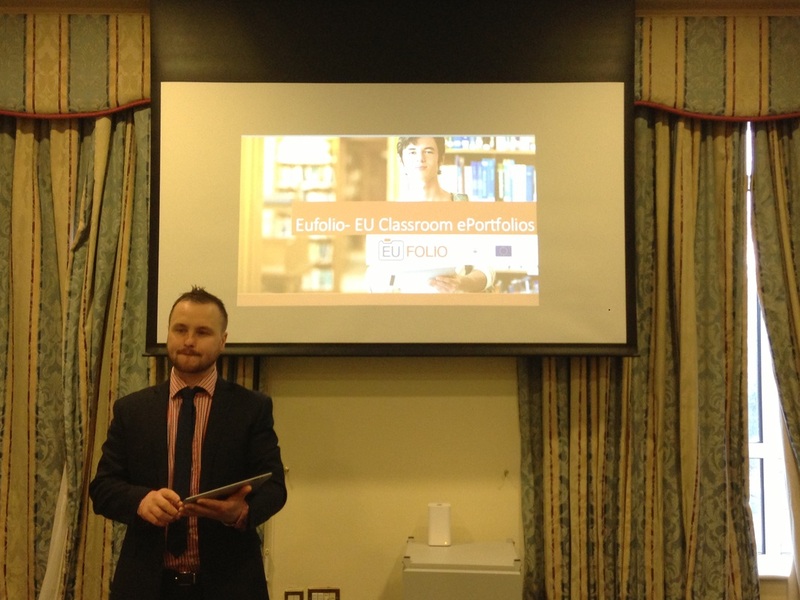 John Hurley, Sinéad Tuohy and Ben Murray presented the EUfolio project at the Mahara UK conference in July 2014. The presentation focused on the use of ePortfolios and in particular the Mahara platform to support formative assessment in the classroom, and shared the Irish schools' experience in Phase A of the pilot implementation. Ben Murray and Sinéad Tuohy joined by Andrea Ghomeim from Krems University presented the draft findings of the Irish EUFolio pilot implementation at the eLearning Bazaar held in the Pedagogische Hochschule in Vienna on 25 and 26 February 2015. The eLearning Bazaar was hosted by Dr Klaus Himpsl-Gutermann and his colleague Petra Szucsich from PH Wien. 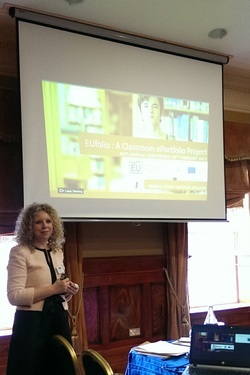 Sinéad Tuohy presented the EUfolio project to education stakeholder representatives from sixteen European countries. The study visit explored digital competences in our school systems and looked at using innovative methodologies and digital tools in teaching and learning.